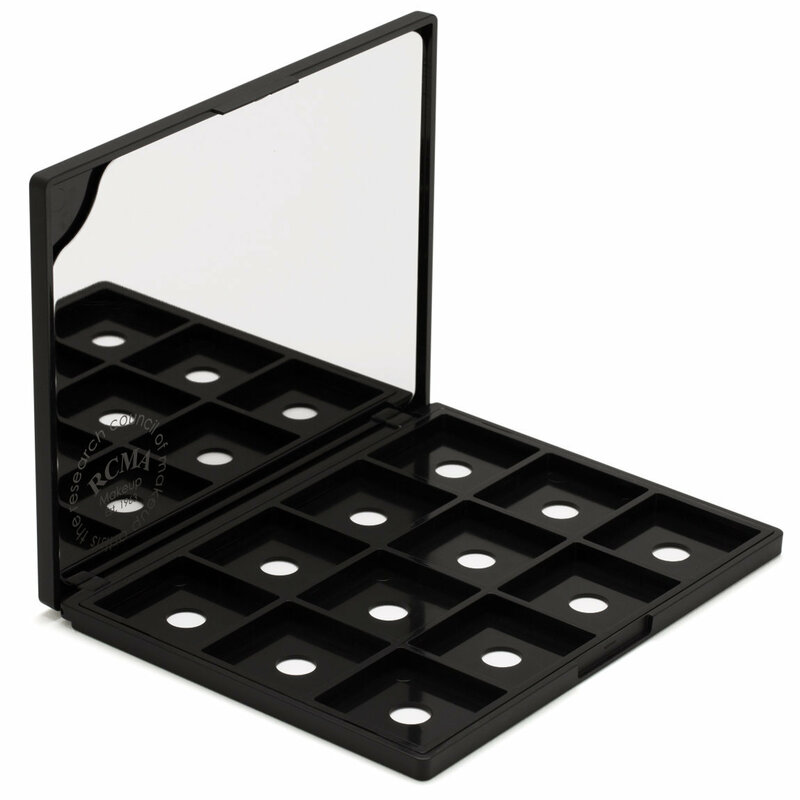 Customize your own palette with this empty, magnetic palette from RCMA! This product comes with a mirror that also doubles as a detachable mixing plate. A must-have for professionals and beauty lover alike to get the perfect shade. Create your own palette with RCMA's Godets. This palette fits 12 godets. This symtem is GENIUS! It's cheap, innovative, and customizable. My favorite feature is the mixing palette that doubles as a mirror. Saves me so much space when traveling because I can put in my highlight, contour, foundation, concealer, and even blush and eye color shades all in one palette with a mirror. My only one gripe is the graphic design, RCMA needs to step up their graphic design game. But other than that, pure perfection!